For short season growers, a few particular cultivars can be very useful. 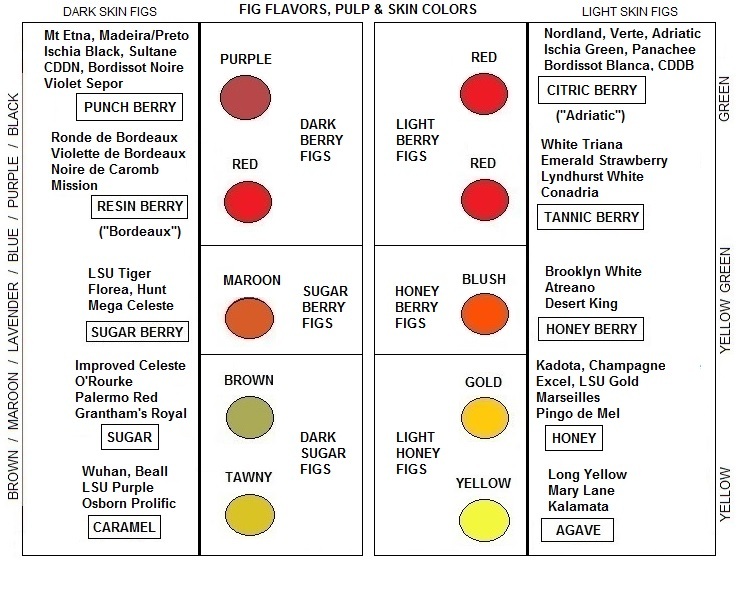 In my experience, 3 varieties begin to ripen a week or two before other varieties – Ronde de Bordeaux, LSU Improved Celeste, and Florea – which helps them to be among the most productive figs. The 3 earlies are followed in a couple weeks by Negretta and especially Mt Etna, as prolific as any, or moreso. Quite a number of other cultivars begin ripening the following week and can also be quite productive, including: LSU O’Rourke, Longue d’Aout / Nordland, Brooklyn White, and LSU Tiger. Many of the figs produced here in 2016 and in 2017, northern West Virginia, zone 6b, belonged to those 9 cultivars, also Violet Sepor and Long Yellow. They are potted and in winter garage-protected slightly above freezing at the coldest. People tend to reach for RDB, the Etnas, and Tiger first on a plate as they are the most visually appealing, of these figs. In ground unprotected, the Mt Etnas have bounced back best each summer to ripen fruit after winter top-kill. Breba producers like the Violette de Bordeauxs, Kadotas, Marseilles, Desert King, Lattarula, San Miro Piro, and Palermo Reds can provide some quality fruit in the month before the main crop 8, if protected from freezing temperatures through winter. With winter shelter and decent care, these 13 types can produce significant fruit July through September (or through October with good and full sun), peaking in August. A lot of other varieties can add to October, September, and late August production but for heavy August production the fast five or early(ish) eight have proven key in this part of the world. A few late ripening varieties that can ripen well near the end of short seasons – Mary Lane, Ischia Green, Black Madeira, LSU Scott’s Black.